!!! New V1.10 has been released !!!!! V1.10 fixes crashes experienced by some users and will work on Yosemite. This is a program for MacOS X to access the EchoLink system. If you don't know what EchoLink is, then you should first visit their web site at http://www.echolink.org/. 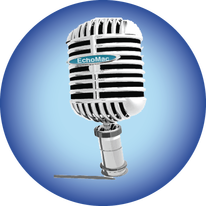 EchoHam classic is an upgraded version of the EchoMac first published in 2003 by Steve Palm (N9YTY), the only application dedicated to providing Echolink access via a native OS X application. Whilst there are no additional (external) features in this version, it has been re-coded to support the modern versions of OS X which make use of the AppStore. If you have any problems or suggestions we would be pleased to hear from you. Feature requests for future versions are also encouraged. Please email us on support@apphugs.com or visit our support forum. Thanks to the original EchoHam author, Steve Palm, who was kind enough to allow us to build this version using most of his original code. EchoLink is a registered trademark of Synergenics, LLC. EchoHam is an independently developed client for the EchoLink system, and is not affiliated with Synergenics.